This evening, the Los Angeles Dodgers (92-71, .564) and Boston Red Sox (108-54, 667) will battle for baseball supremacy. Despite repeating as National League champions, the Dodgers enter the 2018 World Series as decided underdogs. En route to the this years Fall Classic, the Red Sox established a new single-season record for wins (108) breaking the mark of the 1912 team (105). For historic perspective, Bostons iconic Fenway Park opened its doors in 1912. Speaking of historic context, these two storied franchises are only meeting on baseballs grandest stage for the second time. In 1916, the Red Sox (91-63, .591) won the franchises fourth American League pennant. Boston emerged victorious during its first three trips to the World Series (1903, 1912 and 1915). The Dodgers played in Brooklyn at the time, and while team names were not official during that era, they were most commonly referred to as the Robins (in honor of their manager Wilbert Robinson). The Robins won the pennant during the teams final season (1889) as members of the American Association, then again during its inaugural campaign (1890) in the National League. Both pennants were achieved prior to the advent of the modern World Series. During that World Series, the Red Sox played their home games in the citys National League facility, Braves Field, which opened in 1915 and offered a larger seating capacity. The Robins played their games at their three-year-old facility, Ebbets Field. The Red Sox won the first two games at home, 6-5 and 2-1 (14 innings) respectively. Brooklyn won Game Three, their first on friendly turf, 4-3. Boston claimed Game Four on the road, 6-2, and wrapped up the Series back at home in Game Five, 4-1. The Red Sox claimed their fourth World Series championship in as many tries. Brooklyn would soon become World Series regulars, but would fail to win a title until 1955. In 1955, the Brooklyn Dodgers would win its first and only World Series championship. After relocating to Los Angeles, the Dodgers would win titles in the 50s, 60s and 80s. They also won pennants during the 70s, but encounter powerhouse Oakland Athletics and New York Yankees teams in October. Thirty years have passed since the Dodgers last won baseballs biggest prize in 1988. They fell short when the Houston Astros beat them in seven games during the 2017 Fall Classic. The Red Sox were once known for an 86-year title drought, commonly called The Curse of the Bambino. Since that streak ended in 2004, the Red Sox won two more titles in 2007 and 2013. 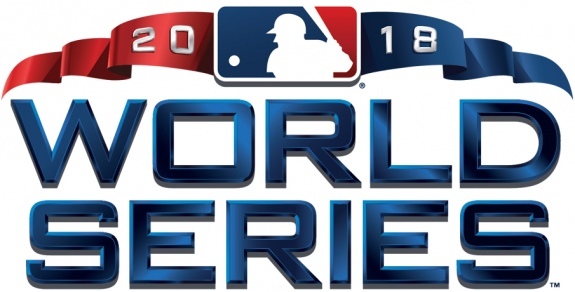 But five years have passed since their last World Series appearance. Tonight, Game One will commence with two of the games most dominating pitchers. Los Angeles will start Clayton Kershaw (9-5, 2.73 ERA). Boston will counter with Chris Sale (12-4, 2.11 ERA).